Well, what an exciting week it has been! 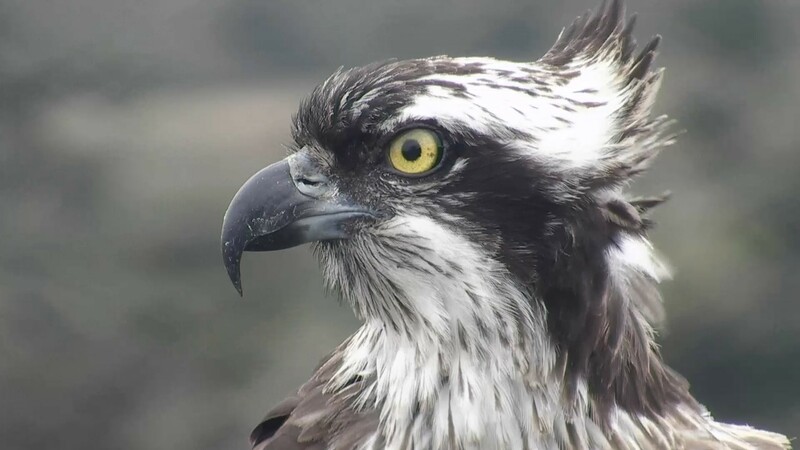 Last Monday morning started with a bang when our resident female, Mrs G, touched down on the nest at 9:08 am. It’s fair to say we were all in a flap trying to get the Visitor Centre open by 10 am that morning, and from that moment, the excitement hasn’t stopped. Not only have we seen many visitors at the Pont Croesor Visitor Centre, but we have also had a lot of activity around the Glaslyn nest too. 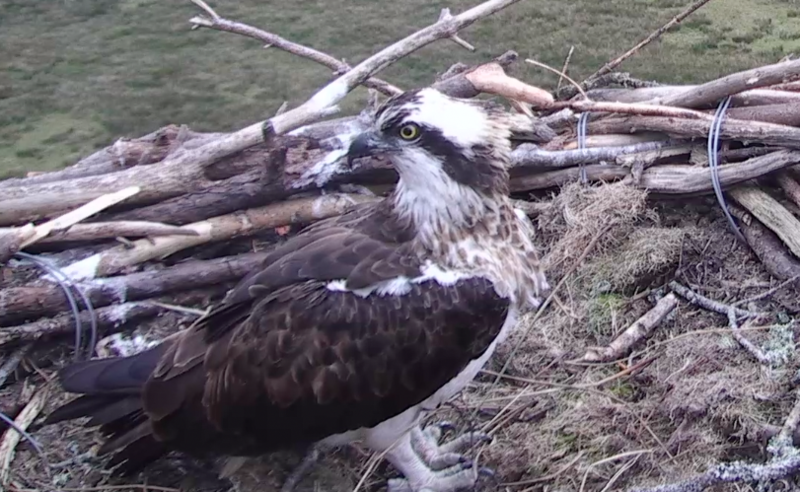 Most notably the arrival of feisty Scottish osprey Blue LA4, who followed Mrs G to the nest on Saturday afternoon and proceeded to steal her fish and eat it in front of her! Mrs G made some attempts at seeing her off the nest, but seemed to think better of it and left her to tuck into her stolen lunch on the perch. We now know that Blue LA4 was ringed as a chick on 5th July 2016 by Bob Swann, at a nest near Dornoch, north Scotland. Thank you to Bob and Dr Tim Mackrill for providing this information so quickly. 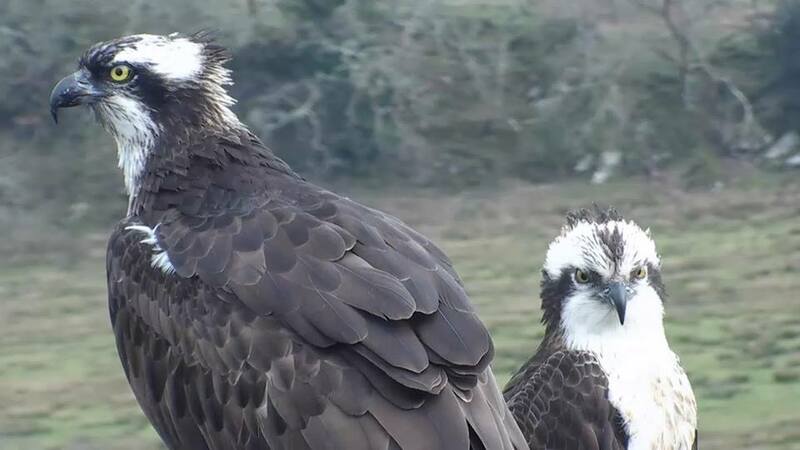 Hopefully, LA4 will soon find a nest of her own. 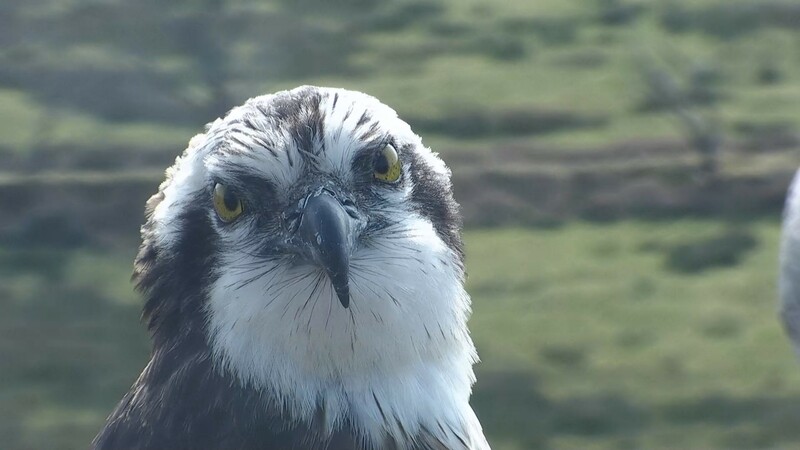 There was yet another surprise on Monday morning this week when Aran landed on the nest at 10:12 followed in by Mrs G. After initially mantling at each other, their wings dropped and Mrs G soon started to show herself to him, confirming she knew her mate had returned. When we checked the camera recordings, we hastily scanned Monday morning’s footage and mistakenly thought he had originally landed at 7:20. But upon closer inspection, we found another unringed female had briefly landed on the nest. We must admit we thought it strange behaviour when we saw Mrs G chasing the osprey we thought was Aran off the nest. Then again, Mrs G could have been angry he dared to land without bringing her a fish breakfast. We have seen Mrs G chasing other ospreys in the air in the ten days since she’s been back, perhaps this is one of those ospreys. Where did she come from? Now our famous couple has returned, the season has well and truly begun. 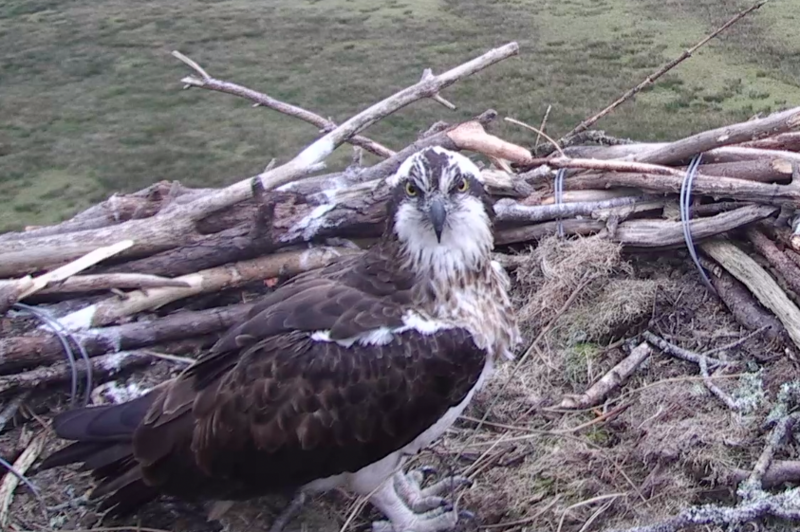 Since they’ve been back, Mrs G and Aran have spent a lot of time around the nest securing their pair bond. We have observed quite a few matings, so perhaps we will have eggs within a couple of weeks time! Anyone care to venture a guess when the first egg will be hatched?